With Zandari Festa around the corner, several expat groups are gearing up to show their stuff at Korea’s biggest indie music showcase. Zandari, a three-day showcase festival across 10 venues in the Hongdae area of Seoul, will host 120 acts from across Korea and overseas this year. 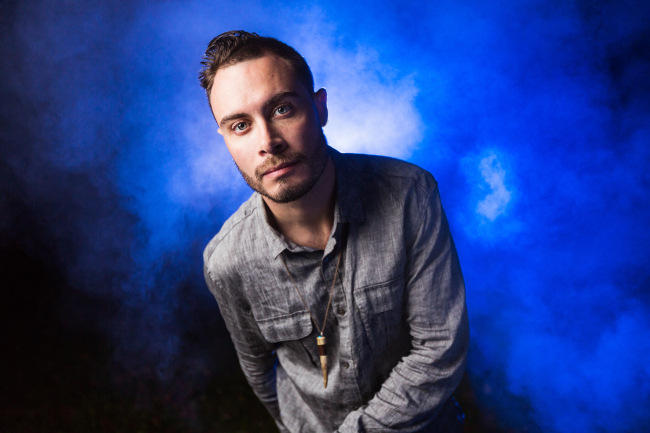 Among them is Koncept, a US rapper relatively new to the local scene. With three albums under his belt, he was invited to play two shows here in November, but as word got around, he was asked to play more shows and stay longer. In June he released his fourth album with Sony Music Asia. The title -- “14 Hours Ahead” -- reflects his sudden relocation and the time difference between Seoul and New York. “That’s the original idea behind it, but it is also about seeing what your future is and achieving new goals and doing better, seeing what’s ahead of you and reaching your dreams and goals,” Koncept told The Korea Herald. Koncept was joined by artists from local hip-hop labels AOMG and VMC, and he is working on new material with the labels’ rappers, as well as Cycadelic, Hi-Lite and Just Music. His relationship with Sony is somewhat open, he says, enabling him to reach a similar deal for a new album on VMC -- one of two he is currently working on. But it’s onstage where he feels most at home. And in his downtime, the rapper plans to use the festival to find some fresh sounds. The group has played Zandari before, and drummer and vocalist Lee Chung-mok played last year, helping out for fellow Busanites Say Sue Me on the drums. The album’s name translates as “Sea of Stars,” but Lee dislikes the "‘90s emo" connotations of the English translation. “Hopefully, the album sounds nothing like that. I hope it sounds like vocals, electric guitar, bass, and drums playing in a small room with a lot of energy ebbing and flowing. That's basically what it is,” Lee said. He means it literally: The album was mostly recorded live, with only a few parts overdubbed. Lee said this took a lot of takes, but he preferred the approach. The group has been playing a lot of shows to promote the album, with a release party Saturday, although Lee said performing was a slightly different prospect as a new father. He’s looking forward to a bigger crowd than normal for a Seoul show and hoping to see a few new faces in the audience. “Say Sue Me and Genius are both playing at Club Steel Face on Saturday, September 30th this time around. It'll be fun to hang out with them. It's been a while,” he says. And when Genius is onstage? Lee says to expect volume and energy. “My hope is that a Genius show is always different. Even if just a little. Some songs we never play the same way twice. And then some songs are just automatic. I like having both in the arsenal. It makes us a formidable army of three,” he says. Bringing a less intense vibe to the festival, Yoja is coming to Zandari with an altogether more intimate vibe. Hunter Gabriel Martinson and Caleb Joseph Russo conjure up the kind of simple, pop songs that work better in small venues than larger rock stages. “We are a pretty chill band. We have guitar and synth mostly and then just other instruments added. 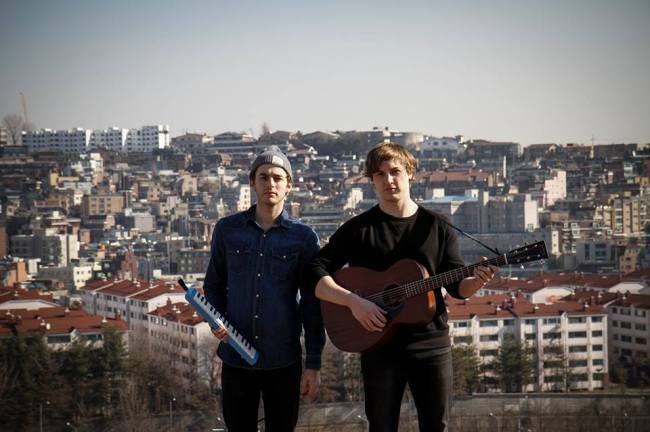 So we talk a little bit between songs and just try to make a relaxed atmosphere,” Martinson told The Korea Herald. “Relaxing and just show love to people. We like to show love,” Russo added. “We have long hair but we are not really rock stars,” Martinson said. The pair released an album about six months ago and have continued promoting it. Martinson describes it as a mix of love and loneliness. “We have a few songs that are sad love songs and a lot of songs that are just about loneliness and depression,” he said. It’ll be the duo’s second festival, and they seem to consider themselves fortunate to play Zandari. “We know many indie musicians here. And they have tried to get in for three years (without success),” said Russo. “A lot of people are solo acts and that doesn’t seem to be what Zandari is looking for, so we might be lucky that we are only two people, because sometimes it feels like we’re the same person -- like a duo solo act,” he said. Among bands they said they were looking forward to seeing were rock acts like Billy Carter and Wasted Johnny’s, as well as Aseul. “She’s really cool. It’s a mixed between Washed Out and Crystal Castles,” said Martinson, who added he’d like to see acts that did similar music to them, such as Gunner & Smith. All three acts will be playing Zandari on Sept. 30. Koncept is playing at Freebird at 8:30 p.m., Genius will be at Club Steel Face at 9 p.m., and Yoja will also be at Club Steel Face, at 7 p.m.
For a full lineup and ticketing details, visit zfesta.com.